When a routine freeze ray demo leads to the death of Mr Nesbit's prize-winning chameleon, Danny and Percy are sent to jiu-jitsu lessons to `learn some discipline' - YAWN! Instead their friendship is tested as never before. Can building the world's greatest killer robot bring them - and the whole class (EVEN twit-faced Gareth Trumpshaw) - together? 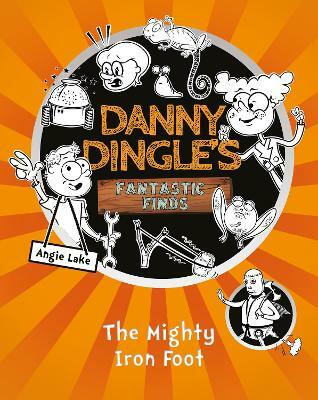 Part of a four book series full of expressive fonts and comic-style illustrations, Danny Dingle's Fantastic Finds is perfect for reluctant readers and fans of Diary of a Wimpy Kid. Aimed at kids aged 7+, there's even more fun when you head to www.sweetcherrypublishing.com to discover online activity packs.